HULK’S OPEN LETTER TO NBC EXECUTIVES | Birth.Movies.Death. Hulk asks NBC the big questions about COMMUNITY. YOU ARE NOT IN THE BUSINESS OF CHARITY. HULK UNDERSTANDS THIS CONCEPT. IT MEANS YOU ARE UNDER NO OBLIGATION TO KEEP A SHOW ON THE AIR THAT YOU FEEL DOES NOT MAXIMIZE YOUR AUDIENCE OR GENERATE THE DESIRED REVENUE. MOVIES AND TV SHOWS ARE INSANELY EXPENSIVE TO MAKE AND YOU HAVE TO JUSTIFY THAT. AS SUCH, HULK RESPECTS YOUR COMPLETE AND UTTER RIGHT TO RUN YOUR BUSINESS AS YOU SEE FIT. ESPECIALLY BECAUSE YOU HAVE GREEN-LIT AND FOSTERED WHATEVER SHOW IS IN QUESTION, YOU ARE IN A FAR MORE RELEVANT PLACE TO SPEAK TO ITS RELATIVE IMPORTANCE AND TO MAKE ANY DECISIONS REGARDING ITS FUTURE. HULK KNOW YOU ARE NOT IN THE BUSINESS OF CHARITY. ... BUT YOU ARE STILL IN THE BUSINESS OF CULTURE. WE SOMETIMES FORGET THAT PART. BRANDS, NETWORKS, AND INDIVIDUAL SHOWS HAVE AN ETHEREAL, YET INESCAPABLY-PRESENT CACHET. AS MUCH AS SOME NETWORKS SEEM TO BE AT ODDS WITH THIS CONCEPT AT TIMES, THE TRUTH IS THAT THEY SPEND MILLIONS OF DOLLARS TRYING TO CREATE AN IDENTITY. SO OF COURSE IT MATTERS. BUT WHY IS NETWORK IDENTITY SO NECESSARY? FOR LONG-TERM BUSINESS EFFECTS, OF COURSE. HECK, BRAND IDENTITY IS THE ONE THING THAT A NETWORK CAN RELY ON IN THE EVER-CHANGING LANDSCAPE OF TELEVISION. TELEVISION IS SECRETLY A SERVICE INDUSTRY. THE CORPORATE MODEL BASICALLY WORKS UNDER THE MODEL THAT PRODUCTS, GOODS, AND TANGIBLE-GOAL ORIENTED TASKS ARE THE FOUNDATION OF BUSINESS. THIS IS, OF COURSE, AUGMENTED WITH A MODERN UNDERSTANDING OF GLOBAL MARKET NAVIGATION, BUT IT IS NONETHELESS THE FOUNDATION... BUT THAT'S NOT WHAT IS THE FOUNDATION OF TELEVISION. BECAUSE YOU PROVIDE US WITH AN EXPERIENCE. THIS MEANS THAT THE CORE OF THIS BUSINESS HAS LITTLE TO WITH THINGS LIKE SUPPLY AND DEMAND, HOSTILE TAKEOVERS, OR EVEN PRODUCT DEVELOPMENT. FORGIVE THE SIMPLE LANGUAGE HERE, BUT HULK NOT REALLY WANT TO DELVE INTO THE PARTICULARS OF MODERN BUSINESS STRATEGY. THE POINT IS YOU ARE IN THE BUSINESS OF PROVIDING JOY AND HOPEFULLY TO AS MANY PEOPLE AS POSSIBLE. THE QUESTION THEN BECOMES "WHAT DOES THAT FACT MEAN TO YOU?" WELL... IT MEANS WHATEVER YOU WANT IT TO MEAN, REALLY. PLEASE UNDERSTAND THAT HULK NOT WANT TO COME OFF AS SOME ARBITER OF JUDGMENT HERE SO HULK PERFECTLY HAPPY TO EXPECT A RANGE OF ANSWERS. FOR SOME EXECUTIVES, THE IDEA THAT THEIR TV SHOW TRULY PROVIDES PEOPLE WITH JOY IS A DEEP SOURCE OF PRIDE AND ABSOLUTELY INTRINSIC TO WHY THEY LOVE THEIR JOB. FOR OTHERS, THE "BUSINESS OF CULTURE" IS SEEN AS A MERE OBSTACLE IN GAINING THE MOST VIEWERS. FOR OTHERS STILL IT'S LESS ABOUT SATISFACTION AND MORE ABOUT CONSCIENCE. THE FACT THAT THEY ARE "DOING THE RIGHT THING" IS JUST THE THING THAT HELPS THEM SLEEP AT NIGHT. SO HULK KNOWS THERE IS A SPECTRUM TO WHAT BEING IN A SERVICE INDUSTRY MEANS. SO TAKE FROM THIS ETHEREAL CACHET WHAT YOU WILL. BECAUSE TONIGHT IS NBC THURSDAY AND NORMALLY HULK WOULD BE WATCHING COMMUNITY. AS OF NOW THE SHOW HAS BEEN "SHELVED," WHICH IS NOT TO SAY IT HAS BEEN CANCELED, BUT JUST WAITING FOR AN APPROPRIATE TIME TO COME BACK ON THE SCHEDULE. AS A FAN, THIS BASICALLY AMOUNTS TO BEING A BIT WORRISOME. BUT AS SOMEONE WHO HAS WORKED IN TELEVISION, HULK FINDS THIS SITUATION FRAUGHT WITH COMPLICATION. FOR ONE, HULK DOESN'T LIKE THE IDEA OF ROOTING FOR SOME OTHER SHOW TO FAIL IN ORDER FOR A SHOW HULK LIKES TO BE RE-INSTATED. IT REEKS OF SCHADENFREUDE. BUT MORE THAN THAT, IT'S A PRECARIOUS THING TO DO TO THE MAKERS OF ANY SHOW. HECK, IT DOESN'T EVEN MATTER IF THE PROPERTY IS BELOVED OR REVILED, IT IS A STRANGE PLACE TO PUT A GROUP OF PEOPLE WHO ARE TRYING TO PROVIDE YOU WITH THE BEST POSSIBLE CONTENT. IT RUNS DIRECTLY AGAINST THE NOTION OF SUPPORT AND CONTEXT. IF ALL THE CONTENT YOU PROVIDE IS OF VALUE TO YOU, WHAT ARE YOU REALLY SAYING WITH THIS STRATEGY? BUT DON'T GET HULK WRONG, HULK HAS CONFIDENCE THE SHOW WILL RETURN IN SOME CAPACITY AND HULK WILL BE ABLE TO SEE THE REST OF THE THIRD SEASON, SO IT'S NOT SOME MATTER OF PERSONAL "HULK NEED TO SEE!" THE TRUTH IS THAT THIS OPEN LETTER IS ABOUT WHAT HAPPENS AFTER. THIS IS ABOUT WHETHER OR NOT THE SHOW WILL HAVE A LEGITIMATE CHANCE TO FINISH ITS RUN WITH ANOTHER SEASON. IDEALLY, IT WOULD BE GREAT FOR A SHOW TO RUN ON FOREVER, BUT SUCH WISHES CAN BE A DEATH KNELL. BUT IT'S HARD TO DENY THAT A FOURTH SEASON FOR THIS SHOW WOULD PROVIDE A CERTAIN CATHARTIC RESONANCE. MORE THAN JUST PLAYING OUT THE EXPECTED "4 YEARS OF COLLEGE" IT WILL ALLOW THE NECESSARY STORY ARCS AND CHARACTER DEVELOPMENT TO SEND THESE PEOPLE OFF AS THEY ARE INTENDED. 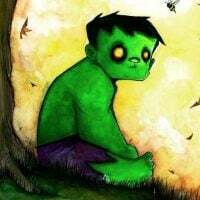 HULK ADMITS THAT MAY SOUND A LITTLE GRANDIOSE, AND PERHAPS IT IS SOMETHING THAT IS ONLY OF CONSEQUENCE TO THE LOVING VIEWER, BUT THE ALTERNATIVE OF CANCELLATIONS IS JUST AS FRAUGHT WITH ISSUES. BOTH CHOICES WOULD BE IMPORTANT FOR THE CULTURAL REGARD OF THE SHOW. WHICH, IN TURN, SPEAKS TO THE REGARD FOR YOUR BRAND. FOR INSTANCE, THERE IS NO DENYING THAT THE "FOX BRAND" TOOK HITS WITH ITS CANCELING OF BOTH ARRESTED DEVELOPMENT AND FIREFLY. BOTH WERE EXPENSIVE SHOWS. BOTH DIDN'T PERFORM IN THE RATINGS. BOTH WERE CANCELED WITH PERHAPS THE APPROPRIATE "JUST CAUSE" AND YET THE FOX BRAND STILL SUFFERED IN TURN. THEY REALLY BECAME REGARDED AS THE NETWORK THAT "WILL CANCEL YOUR FAVORITE SHOW." HULK KNEW PEOPLE WHO HONESTLY DON'T START WATCHING FOX SHOWS UNTIL THEY'RE WELL INTO THEIR RUN BECAUSE THEY THINK THEY WILL JUST BE CANCELED. IN ALL SERIOUSNESS, THIS HAPPENED. IN THIS PARTICULAR CASE THEY FORGOT THEY WERE IN A BUSINESS OF CULTURE AND THE BRAND WAS DAMAGED. AND THAT GETS TO THE REAL CRUX DOESN'T IT? THE CANCELLATION OF A SHOW IS SOMETIMES NOT A CUT AND DRIED ECONOMICAL DECISION. HERE IS COMMUNITY, ANOTHER SHOW THAT FALLS DIRECTLY INTO THAT CATEGORY OF "CRITICALLY-APPRECIATED COMEDY THAT GETS POOR-RATINGS. "AND YOU HAVE TO MAKE A CHOICE BETWEEN A THEORETICAL LOSE-LOSE. THE SHOW DOESN'T PERFORM ECONOMICALLY IN ONE SENSE, BUT CANCELING IT MAY ECONOMICALLY DAMAGE YOU IN ANOTHER SENSE. SO WHAT DOES ONE DO? ... BECAUSE IT REPRESENTS THE EXACT HEART OF WHAT "NBC THURSDAY" IS ALL ABOUT. PLEASE DON'T PRETEND THAT THIS CACHET DOESN'T EXIST IN THE MOMENT WHEN IT IS CONVENIENT. IT EITHER EXISTS OR IT DOESN'T. AND IF IT DOES THEN EVERY DECISION MUST ACCOUNT FOR IT IN SOME WAY. AND YOU KNOW WHAT? BEYOND THIS MATTER OF ETHEREAL CACHET, THERE IS A LOGISTICAL ISSUE THAT HULK JUST HAS TO BRING IT UP TOO. EVERY SINGLE YEAR THE NETWORKS BANG THEIR HEAD UP AGAINST THE WALL IN THE PROGRAMMING SHUFFLE. WHY? BECAUSE THEY ALWAYS BELIEVE THAT SOME THEORETICAL NEW SHOW "COULD" DO BETTER IN THAT TIME-SLOT. WHICH HAS IGNITED THIS CONSTANT CYCLE AT THE NETWORKS OF LAUNCH, CANCEL, LAUNCH, CANCEL, LAUNCH, CANCEL, (AND A WHOLE BUNCH OF MOVING AROUND THEREIN). BUT IT ALL OFTEN RESULTS IN THE SAME DAMN RATINGS... WHY DO NETWORKS KEEP DOING THIS? YOU KNOW WHICH TWO SHOWS WERE COMPLETE FAILURES IN THE RATINGS THEIR FIRST FEW YEARS? CHEERS AND SEINFELD. GREAT SHOWS THAT WENT ON TO MAKE YOU PILES AND PILES OF MONEY. WE HEAR THIS ANECDOTE ALL THE TIME, BUT WHY DOES IT NEVER MATTER? WHY DO WE NOT DO ANYTHING ABOUT IT? HULK OF COURSE CAN'T PROMISE THE SAME THING WITH COMMUNITY, BUT IF YOU BELIEVE IN THE SHOW OR RECOGNIZE THAT PEOPLE ARE RESPONDING TO IT, THEN YOU SHOULD TRY TO GROW THE AUDIENCE. THIS ISN'T SOME RAVINGS FROM AN ARMCHAIR TV-WATCHER EITHER OF "HOW IT SHOULD BE!" BECAUSE NOT TO GET ALL COMPARATIVE, BUT CABLE SHOWS DO THIS ALL THE TIME. WHY DO THE RATINGS FOR THEIR SHOWS ACTUALLY GO UP YEAR AFTER YEAR? IF YOU DON'T THINK THEY'RE LOOKING AT YOUR METHODS AND ARE KIND OF LAUGHING ABOUT IT, THEN YOU'RE GRAVELY MISTAKEN. AGAIN, HULK TOTALLY KNOW THE PRESSURE YOU ARE UNDER TO DELIVER TO A CERTAIN EXPECTATION, BUT THE CONSTANT SHUFFLE IS NOT A VIABLE SOLUTION. AGAIN, HULK PRETTY SURE THAT THIS COULD ALL BE NONSENSICALLY DISMISSED AS THE RAVINGS OF A CRITIC/FAN/TALKING HULK-MONSTER, BUT THAT WOULD BE A MISTAKE. FOR ONE, HULK HAS SPENT MORE TIME IN YOUR WORLD AND CONTEXT THAN PERHAPS YOU REALIZE AND SYMPATHIZES TO THE POSITION. THIS ISN'T SOME KNEE-JERK "THE ARTISTS SHOULD RULE!" MANTRA. THIS COMES FROM EXPERIENCE. BUT, ADMITTEDLY, THIS ALSO COMES FROM THE FAN. AND HULK WOULD ARGUE THAT DISMISSING HULK HAS A FAN WOULD BE JUST AS TREMENDOUS A SLIGHT. WHY? BECAUSE THERE IS CONCRETE CONTEXT TO ALL OF THIS TOO, AND IT BASICALLY ENTAILS A SOCIAL CONTRACT. BUT ULTIMATELY, HULK KNOWS YOU ARE NOT A CHARITY. WHAT YOU NEED TO DO IS MAKE A CHOICE. YOU ARE DECIDING WHAT MATTERS TO YOU. AS PEOPLE WE FACE "WHAT MATTERS TO US" QUESTIONS EVERY SINGLE DAY. WHAT DO WE DO IN OUR LIVES TO PAY THE BILLS? WHAT DO WE DO IN OUR LIVES THAT MAKES US HAPPY? WHAT BRINGS US RESPECT? WHAT BRINGS US JOY? WHAT BRINGS US PEACE? RARELY DO WE EXPERIENCE ANY GRAND SITUATIONS, SO THESE ARE THE CENTRAL QUESTIONS IN WHICH MORALITY PLAYS A PART IN OUR LIVES. THERE'S A LINE IN SAM PECKINPAH'S RIDE THE HIGH COUNTRY WHERE OLD JOEL MCREA IS BEING ASKED WHY HE WOULDN'T PINCH MONEY FROM A JOB WHEN HE WOULDN'T BE CAUGHT AND HE RESPONDS: "All I want to do is walk into my house, justified." IT IS POWERFULLY SIMPLE MESSAGE ABOUT WHAT ONE VALUES AND RESPECTS IN THEMSELVES. AGAIN, HULK NOT TRYING TO IMPLY THIS SOME SORT OF ARCANE ISSUE OF RIGHT AND WRONG. IT IS SIMPLY ABOUT WHAT MATTERS TO YOU. SO, NAMELESS NBC EXECUTIVE, WHAT MATTERS TO YOU? 1) DO YOU WANT TO BE PART OF A NETWORK THAT STEADFASTLY SUPPORTED ONE OF THE MOST BRILLIANT SHOWS ON TELEVISION UNTIL ITS LOGICAL CONCLUSION? OR 2) DO YOU WANT TO BE PART OF A NETWORK THAT CANCELED ONE OF THE MOST BRILLIANT SHOWS ON TV FOR POSSIBLY-LEGITIMATE BUSINESS REASONS? THE WORDING MAY SEEM A LITTLE UNFAIR THERE, BUT IN TRUTH THAT IS THE NICEST WAY TO PUT IT. AND IF NEED ANY HELP ANSWERING, HULK TURNS TO ONE OF THE OLDEST BUT MOST TRUE CLICHES THAT HULK CAN THINK OF: WHEN IT COMES TO A MATTER OF DOING WHAT IS RIGHT, IT IS RARELY THE THING THAT IS EASY.